Cardiff University researchers have created a peptide (a small piece of protein), linked to a light-responsive dye, capable of switching “on” death pathways in cancer cells. The peptide remains inactive until exposed to external light pulses, which convert it into a cell death signal. Complex mechanisms in healthy cells normally protect us from developing cancer. However, when the finely balanced networks of interactions between proteins that control such mechanisms are disturbed, uncontrolled cell growth can occur. The research team has developed a peptide-switch to alter critical interactions in B-cell lymphoma cancer cells in a “smart” and controlled way. This new pathway activation technology, called transient photoactivation, may enable scientists to identify cells normally resistant to chemotherapy. leading to development of more effective treatment strategies. “Whilst killing cancer cells is a goal in itself, this is also proof of a wider principle,” said Professor Rudolf Allemann from the School of Chemistry, who led the research. 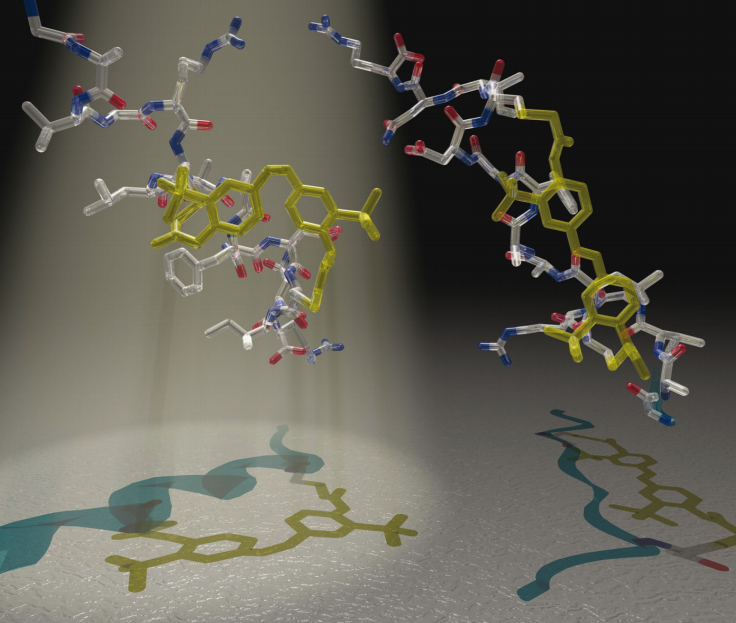 “Directing therapeutic peptides to the precise location where they are required can be difficult, but activating peptides with light will allow us to precisely define the area where we wish a peptide to act. “Our research demonstrates that we can control cellular processes with light, which has implications for research in biology and medicine, as our tools can be used to understand the inner workings of cells and to work out how to correct misfiring pathways that lead to disease. Photoswitches with longer wavelengths (near-infrared, to penetrate tissue) are now required, coupled with improved methods for peptide delivery to live cells. This research required the combined expertise of scientists from three Schools — Chemistry, Medicine, and Pharmacy and Pharmaceutical Sciences — who contributed different perspectives and techniques to develop this technology. The findings are published in the journal Molecular BioSystems. Dynamic physical interactions between proteins underpin all key cellular processes and are a highly attractive area for the development of research tools and medicines. Protein–protein interactions frequently involve α-helical structures, but peptides matching the sequences of these structures usually do not fold correctly in isolation. Therefore, much research has focused on the creation of small peptides that adopt stable α-helical structures even in the absence of their intended protein targets. We show that short peptides alkylated with azobenzene crosslinkers can be used to photo-stimulate mitochondrial membrane depolarization and cytochrome c release in permeabilised cells, the initial events of the intrinsic apoptosis pathway.